Niterider police bike lights play a critical role while riding a bicycle at night, providing safety and security. As a Law Enforcement Officer, Security Agent, Park Ranger, or other official, you want to make sure that you are visible - especially at night. 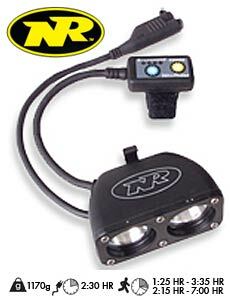 A high quality police bike light system like the Digital Patrol by Niterider is essential in low light. It's equally important to be able to identify yourself as a Law Enforcement Official or other agent. The bike lights that we offer are chosen to accomplish this. Offering complete packages with very high end dual beam Halogen NiMH strobes, or basic LED lights. Some of the light systems, such as the Digital Patrol Police Bike Lights, are specifically designed to be police bike lights. Others are high-quality standard bicycle lights.